Sailors of HMCS Saguenay look on as depth charges, one type of weapon used to destroy enemy submarines, detonate below the surface. In the distance, a convoy can be seen. The Battle of the Atlantic — the longest, and arguably most significant, battle of the Second World War — was fought on the unforgiving waters of the Atlantic Ocean. The battle’s first shots were fired within hours of Britain’s declaration of war against Germany on September 3, 1939, when a Nazi submarine torpedoed Athenia, a U.K. passenger liner bound for Montreal. The sinking, which claimed 112 lives, set the stage for a gruelling six-year struggle for the survival of Britain, the liberation of Europe and supplying the Soviet Union. Everything necessary for the war in Europe arrived by ship. Canada and the colony of Newfoundland played crucial roles in protecting, manning and supplying Allied convoys. The rapid expansion of Canada’s Navy, merchant marine and Air Force bolstered this lifeline. As part of this larger battle, Nazi submarines, known as U-boats, began stabbing deep into Canada’s inland waters. Their aim was to sink Allied merchant ships carrying essential supplies to the front lines. Before being permanently repelled from Canadian waters in 1944, U-boats sank 23 merchant and naval vessels, killing more than 300 men, women and children here at home. Canadians from all provinces, and Newfoundlanders, contributed to Allied victory in 1945. 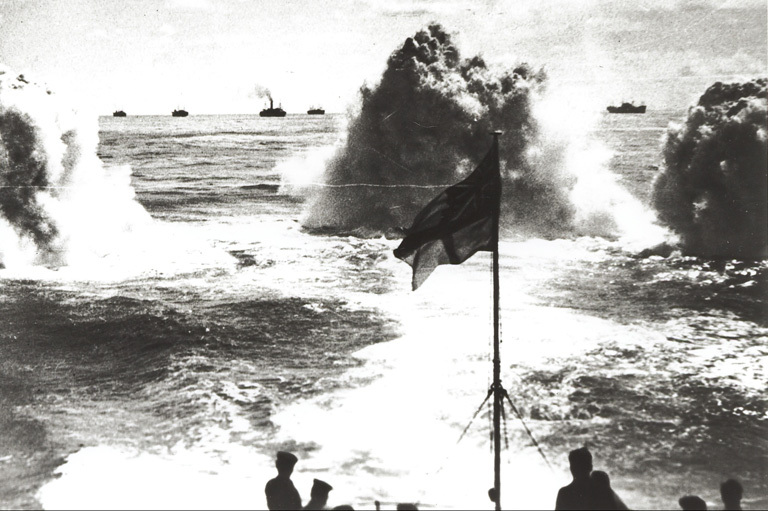 Withstanding enemy action from the sea and sky as well extreme weather, the defenders were relentless in securing success on the Atlantic. However, this feat cost the lives of nearly 1,990 personnel from the Royal Canadian Navy, 752 Canadian airmen and 1,629 Canadian and Newfoundland merchant sailors. Without their sacrifice, determination and courage, the war would have been lost. 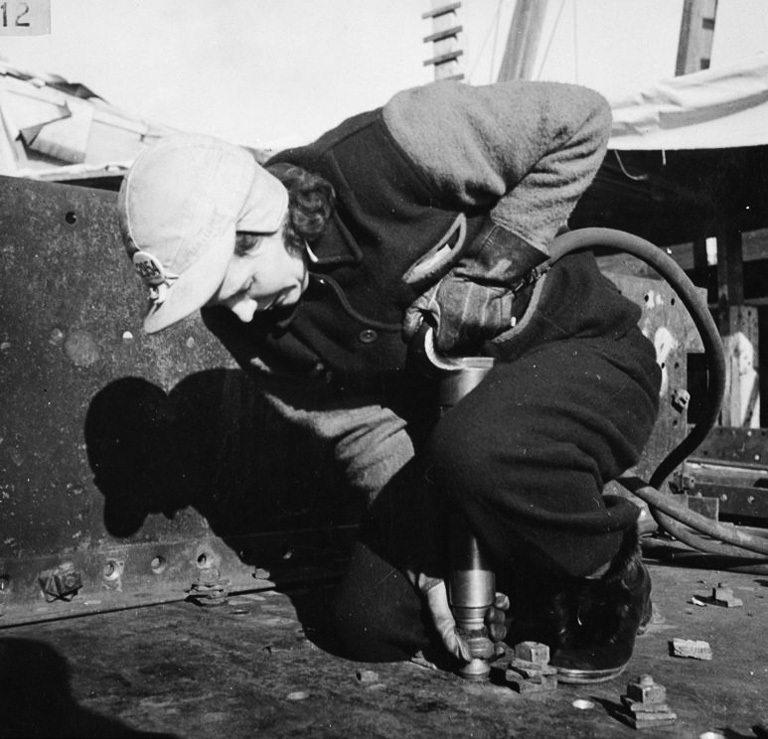 Women contributed to the wartime shipbuilding industry in shipyards on both coasts, including Mrs. A. Mackay, an employee of the Pictou yard in Nova Scotia. Many of these men and women are unsung heroes, ordinary Canadians who, in the face of adversity and uncertainty, resolutely accomplished extraordinary feats. They are the sailors who braved enemy-infested waters, the pilots who took to dangerous skies to protect them, the women and men who toiled in Canadian shipyards and factories. Parks Canada pays tribute to these extraordinary individuals and what they accomplished through Hometown Heroes, a project that honours citizens, both civilian and in the military, who contributed to Canada’s wartime efforts. The amazing stories of Canada’s Second World War merchant navy, including the men and women from every province who built these ships and sailed them through war zones, are told through Parks Canada’s Home Port Heroes. 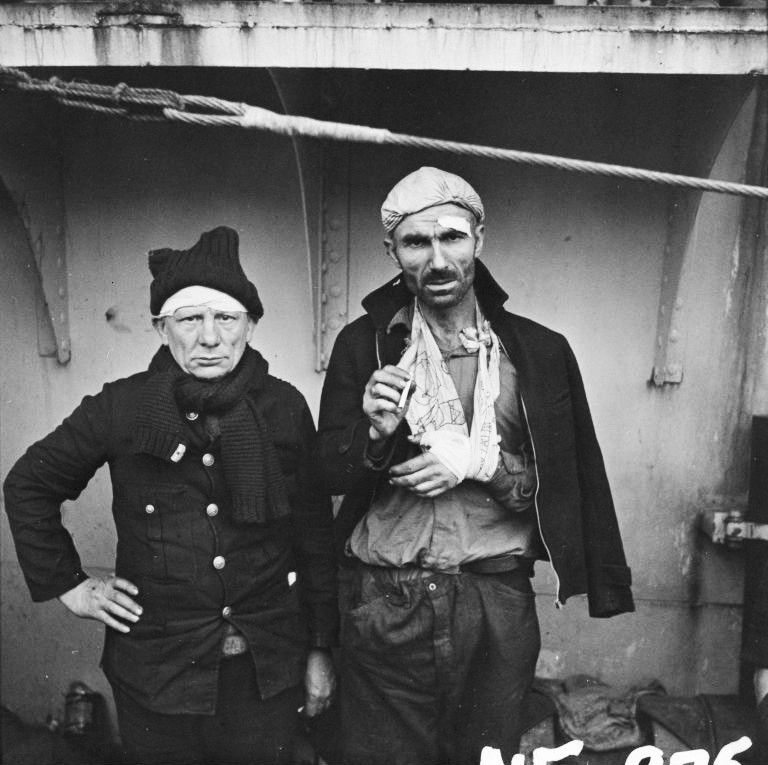 Unidentified survivors of a torpedoed merchant ship arriving in St. John’s, Newfoundland, in 1942. Parks Canada’s National Historic Sites, national parks and national marine conservation areas are places to come and remember the sacrifices made in defence of Canada. Visit the coastal battery of Fort Peninsula, built during the war to defend our eastern borders. Today it is part of Forillon National Park in Quebec’s Gaspé region. For another unique experience, you can explore the decks of HMCS Haida National Historic Site. The HMCS Haida, which served in the Battle of the Atlantic, is being commissioned as the flagship of the Royal Canadian Navy in 2018. Moored in Hamilton, the Haida is in the 75th year of her service for the Navy and is the last Tribal-class destroyer of the Second World War. Book Review: In War At Sea, Ken Smith, recounts the Royal Canadian Navy’s role and expansion during the Battle of the Atlantic. Through the use of personal accounts, as well as an impressive selection of photographs, Smith provides a vivid account of Royal Canadian Navy ships and crews as they embarked on dangerous convoy missions and battled German U-boats.